Today, I have the Sunshine collection for you. Glitter lovers get ready to be amazed! Remember today is the last day to take advantage of the promo! 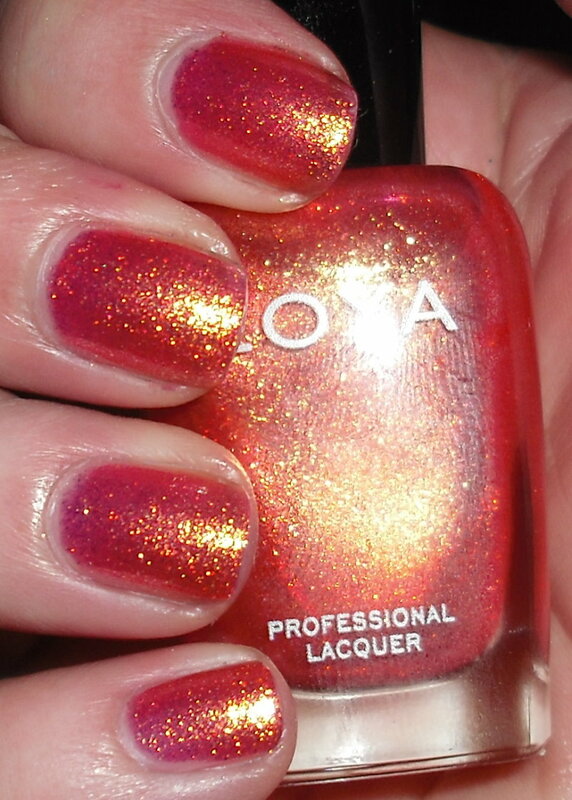 Reva is a berry red with gold foil-like sparkle. 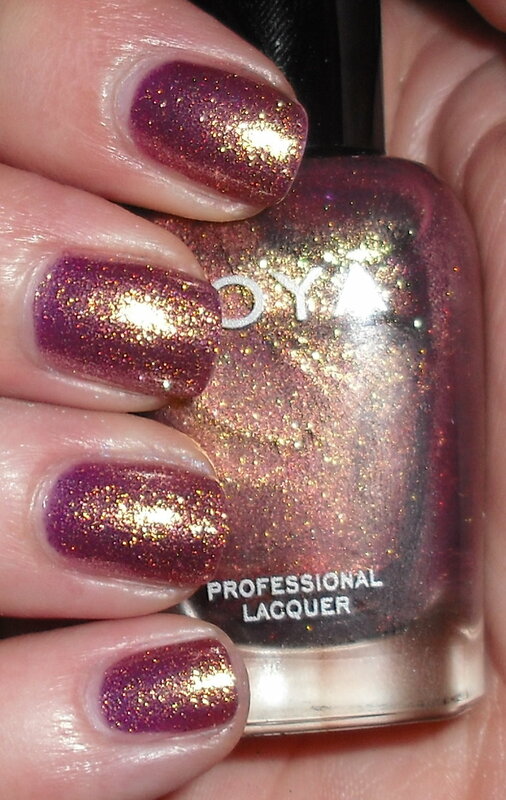 Faye is a lavender purple packed with golden foil-like sparkle. 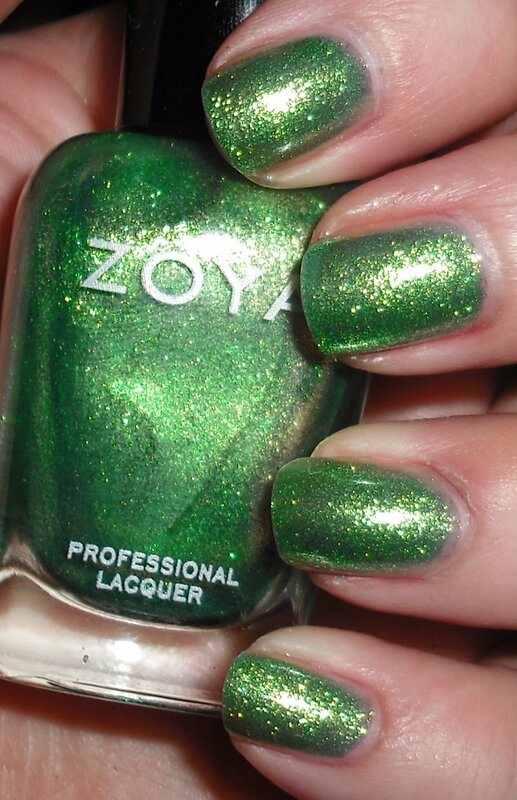 This color kind of reminds me of a super amped up version ChG Awakening or Zoya Shivon. Rica is a coral toned pink with gold foil-like sparkle. Apple is a yellow-toned green with gold foil-like sparkle. 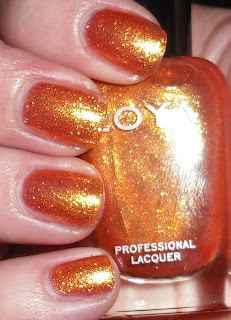 Tanzy is a tangerine shade with gold foil-like sparkle. 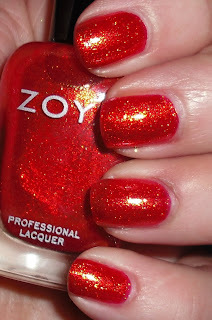 Kimmy is a bright fiery red with gold foil-like sparkle. These are fan-freaking-tastic! If you love glitter, I'm going to say you *need* these, especially if you are sucker for gold shimmer/glitter. These are not shy on the sparkle, but have the perfect balance of great color paired with them. These do not disappoint. Unlike the Summertime collection I cannot image these have dupes. The only issue I had with these is they were inconsistent in formula. Kimmy and Reva were both highly pigmented and only requited two coats, while the rest were more on the sheer side and required 3. Honestly, for these types of shades I'm not complaining. I usually do 2-3 coats anyways, so it's fine by me. I absolutely adore all of these, but I'm especially impressed by Faye. I would of never imagined a color like Faye. It is such an unpredictable and original color. They could of easily done a vibrant purple with sparkle, but the subdued lavender was a creative choice! Beautiful swatches! I almost passed on Reva because it didn't seem too exciting but now I'm so so glad I didn't because it looks amazing! Really, they all do. 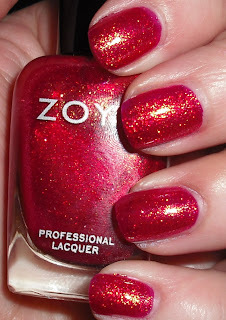 Can't wait to get my order...I wish Zoya would hurry up and ship it already! nice swatches! i love apple its gorgeous. So pretty! I can't wait to get my order! Oh wow I really love these, they are sooooo pretty. I'm so in love with Faye and Rica <3 Zoya always creates amazing polishes! I just did the Zoya offer on buying the entire Lock Down Set for $48 and you got to pick which of the 2 six bottle summer collections you wanted to get sent with it for FREE! I could not pass that deal up - no tax and free ship! I won't wear the green however so I will be looking for a good home for it. Forgot to add that Faye is a whole lot like Rally Pink from OPI Serena Williams French Grand Slam set. Fay has more to it in that Zoya way. And the OPI one has more flat visible gold in it - a bit more duochrome than Faye which is SPARKLE GLITTER big time. Put on Tanzy (like 2 coats) and top it with either Reva or Rica and you have the most amazing fall shade. It's like Vermont leaves turning on your nails!! !